SPRINGBORO, Oh. — After a strong sixth-place performance at the Towson Spring Invitational, the Robert Morris golf team (+276) is back in action at Heatherwoode Golf Club in Springboro, Ohio for the Wright State Invitational. 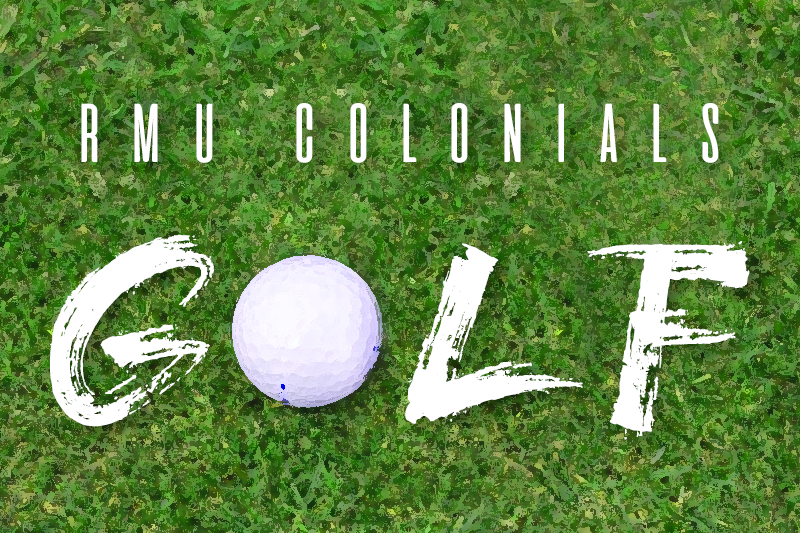 In last week’s match, the Colonials finished sixth but were led by Max Palmer, who finished second with a four-under tournament. Next up for the Colonials were Bryce Gorrell, David Szymanski, and Chase Miller; who were part of a seven-way tie for 32nd place at +8. Four shots behind at +12 was Colombia native Daniel Franco Saad, who tied for 56th. Finishing up the tournament for the Colonials, Kyle Grube finished with a +13 157, good enough for a tie for 63rd. Looking forward to the Heatherwoode Golf Club, the course is a 6,754-yard par-71 course located 45 minutes north of Cincinnati. On many of the holes, water plays a big factor, resulting in many golfers needing to play skillful shots to get them out of trouble. The 348 yard, par-4 13th is a key to look out for, as it is lined by a lake on the right side of the fairway. Other teams that will be at the tournament will be the host Wright State Raiders, the Valparaiso Crusaders, the Indiana University – Purdue University Indianapolis (IUPUI) Jaguars, the Purdue – Fort Wayne Mastodons, the Butler Bulldogs. Also invited to the tournament are the Ohio Bobcats, the Wittenberg Tigers, the Northern Kentucky Norse, the Indianapolis Greyhounds, the Cleveland State Vikings, and the Green Bay Phoenix. After the Wright State Invitational, the Colonials will take part in the Northeast Conference Championships at the LPGA International in Daytona Beach, Florida.